A home inspection is a limited, non-invasive examination of the condition of a home, often in connection with the sale of that home. 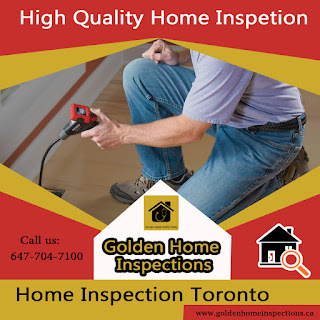 Home inspections are usually conducted by a Licensed home inspector like Home Inspector Toronto. Before you finalize your house purchase, be sure the house is in good condition. 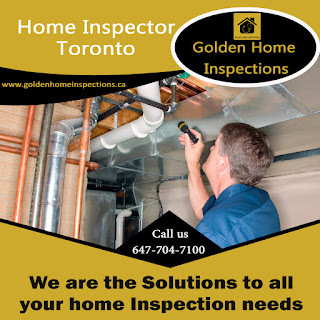 The best way is to have a professional inspection like Golden home inspections. 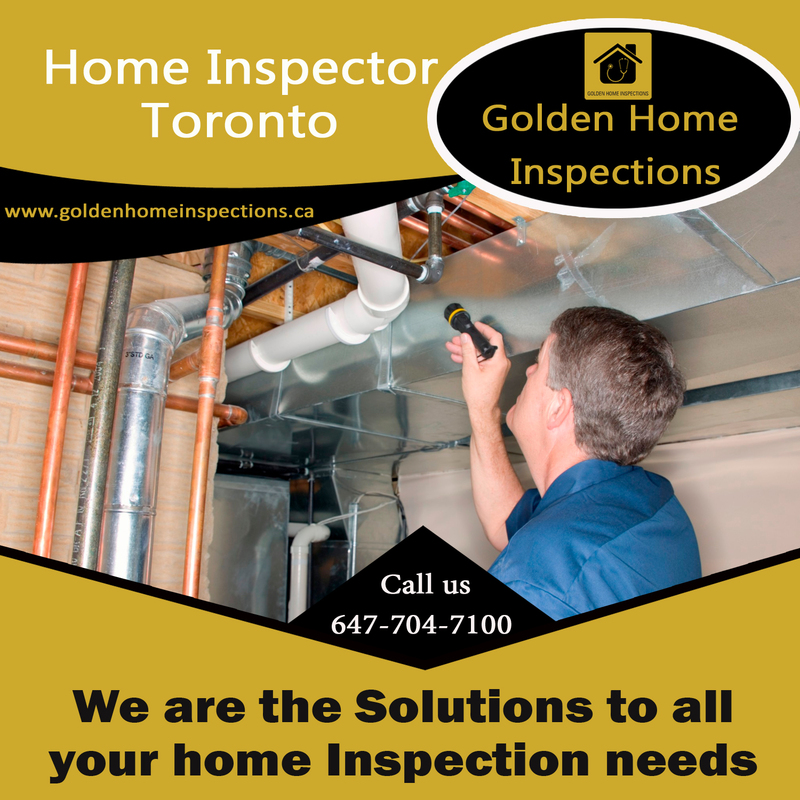 The main purpose of a home inspection is to give you the information needed to make an informed decision on the purchase. Those who are buying a home might be wondering if they should skip a home inspection. They might be thinking they found the home of their dreams, so what's the point of getting it inspected when they already know they want to make a purchase? A home inspection isn't typically done to make or break a purchase. No home is perfect, so issues are likely to arise. A home inspection is simply done to clue a homebuyer in on any defects or issues with the home that might not have been obvious at first glance. It's not likely that the terms of the home sale will change after an inspection is done, but a buyer will be able to make a more informed decision based on the information provided to them by a home inspection. 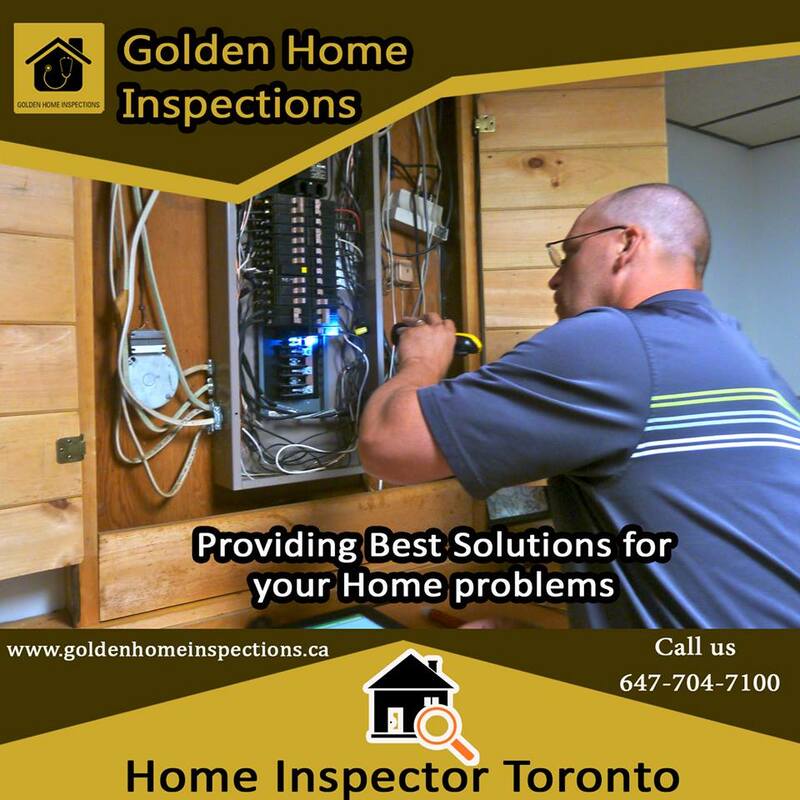 A Toronto Home Inspector is a professional who will conduct an inspection of the general condition of the home. A good home inspection will assist a buyer in understanding exactly what they are about to acquire. 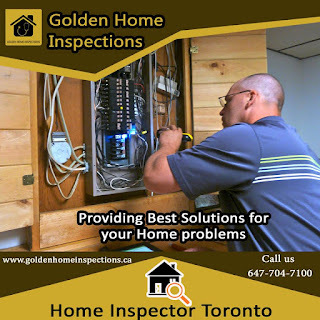 A home may look move in ready, but an inspector will cover features of the house such as electrical wiring, plumbing, roofing, insulation, as well as structural features of the home and may unveil issues that are not noticeable to the buyer’s eye. As a buyer, you are making a vast investment, and it is important to understand exactly what you are purchasing. To know more about home inspection visit www.goldenhomeinspections.ca. You've found the home you want, at the right price, and the house looks like it's in pristine condition. But always keep in the mind that, particularly when the home is for sale by the owner, the home has been "dressed up" to accentuate its best features and minimize its potential flaws. Before you close on the purchase of a home - or sometimes even before you make an offer - you should insist on an Home Inspection Mississauga by a professional inspector. 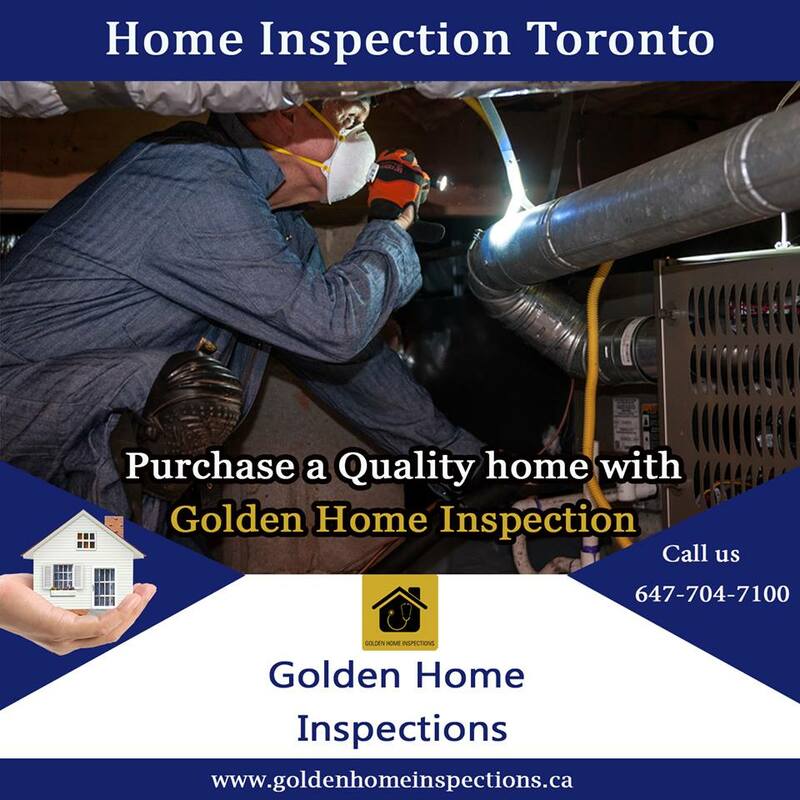 Buying a home is likely one of the most important purchases you"ll ever make and opting for a home inspection can help make the difference between finding a great investment or ending up with a true money pit. 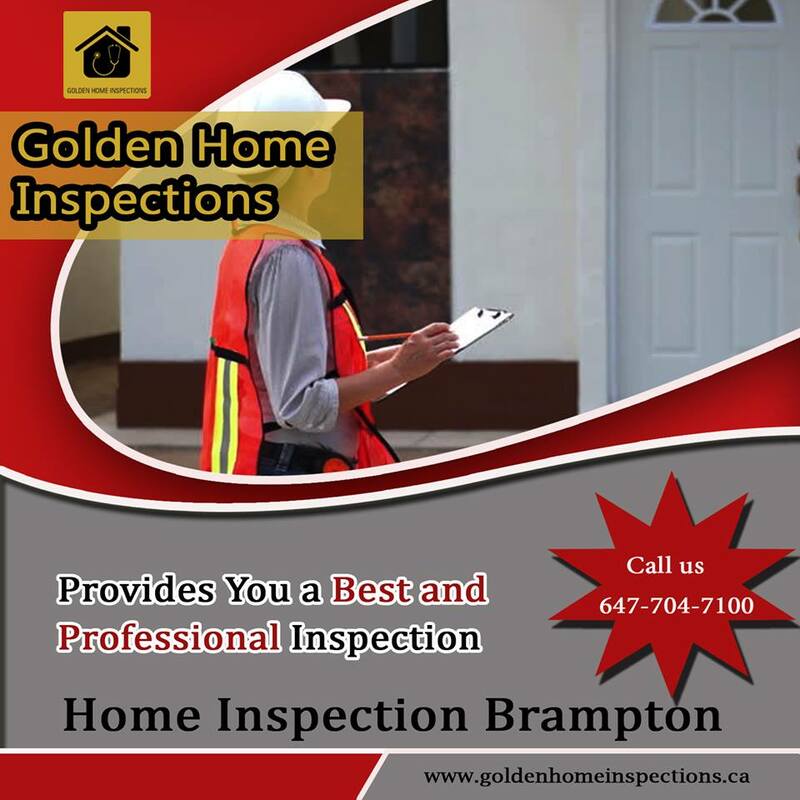 Relatively inexpensive, and quick to do – most home inspections can be done in the span of several hours a home inspection can give you a true view of a home's condition and let you know what to expect in terms of general maintenance, repair and renovation costs. In fact, the details you can learn about your property from a home inspection may help you secure a better home insurance rate and ensure you have the right insurance coverage. In addition, the findings from a home inspection could help you when negotiating your final offer on a home… especially if the results identify major issues. 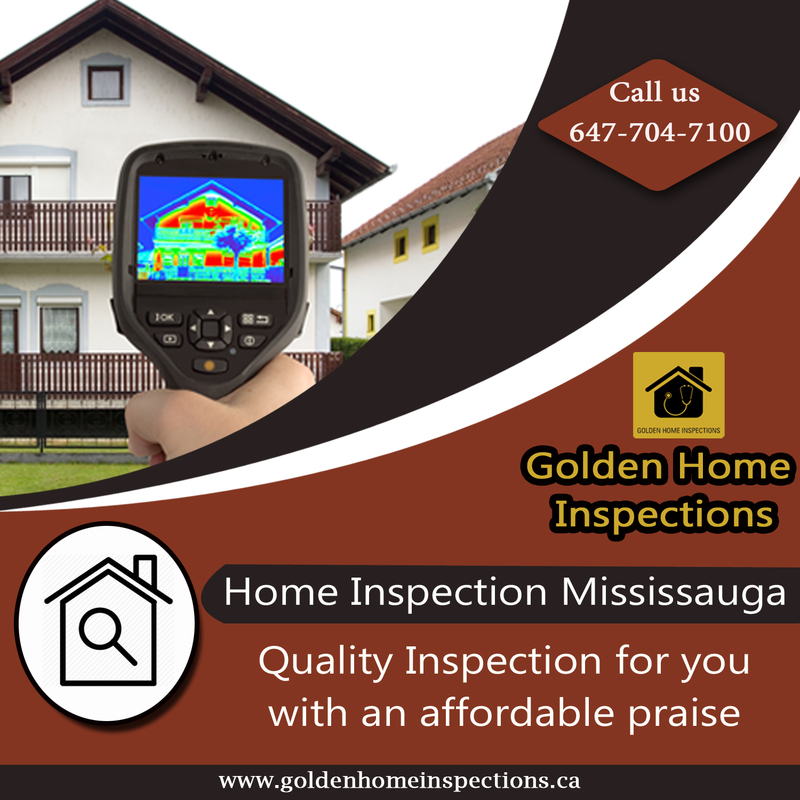 Because of the importance of a Mississauga Home Inspection, you should make the purchase of the home on your approval of a home inspector's report. 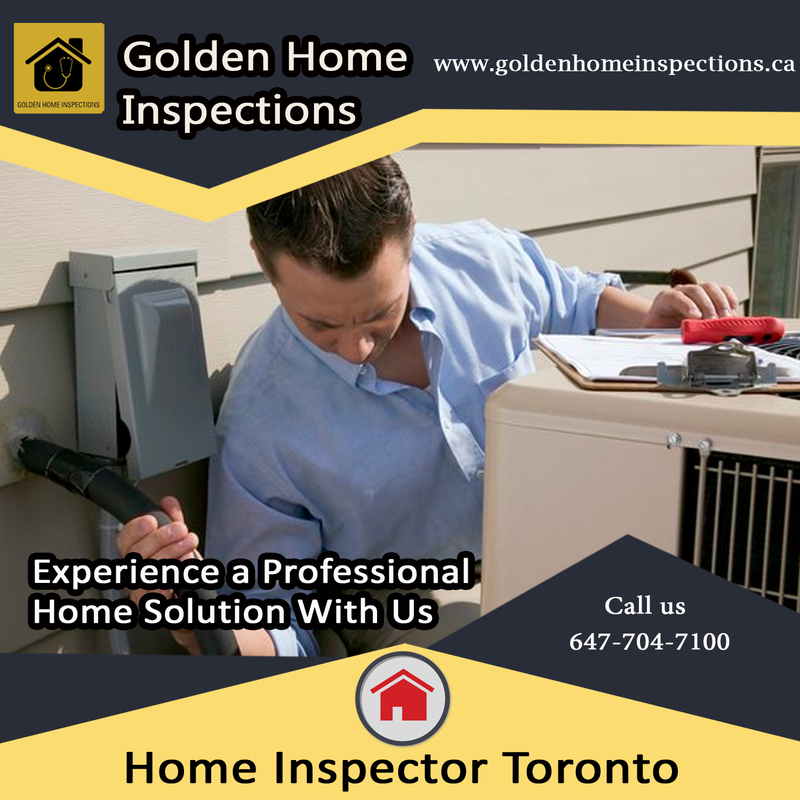 When making a written offer for the home, simply make the home inspection a condition of the purchase. 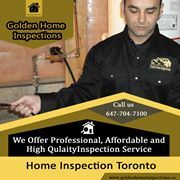 If your home inspection comes back clean, you can proceed with the sale with confidence. And if the report is negative, you can reduce your offer, make the seller pay for any repairs, or even back out of the contract altogether.Please contact us on 647-704-7100 to discuss your needs. 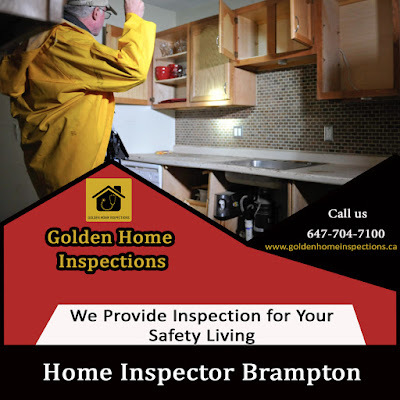 Home Inspection Service-Trained home inspectors provide comprehensive inspection service. A is an inexpensive way to discover the universal condition of a home. 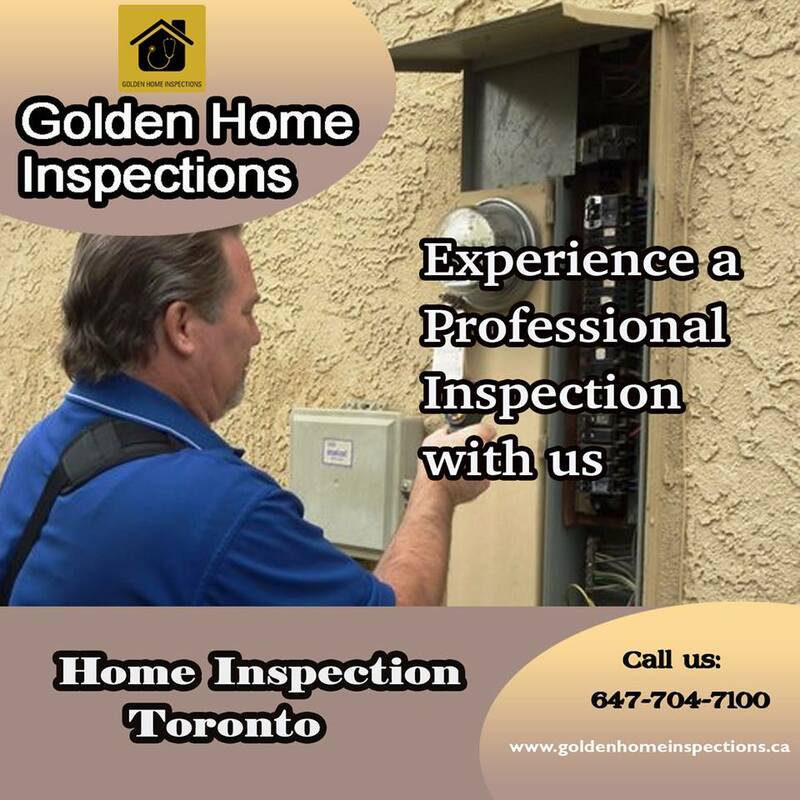 It is important to conduct a home inspection to avoid a costly mistake by purchasing a property in need of major repairs.Golden Home Inspection is the LicensedProfessionalinspection company. 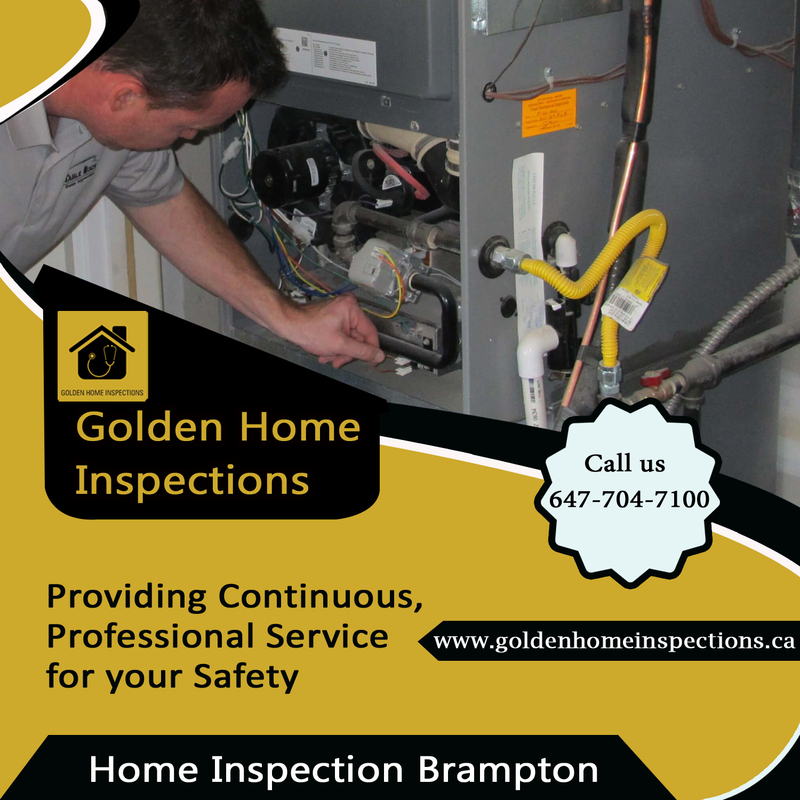 Do you need a Professional Home Inspection Service? 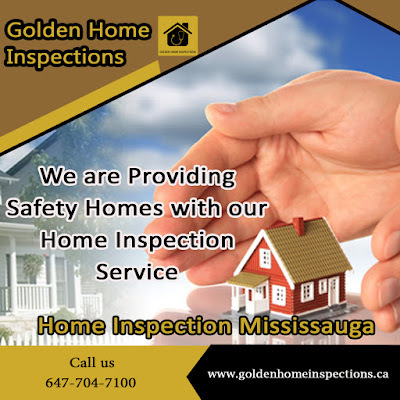 contact us 647-704-7100. Home Inspection Toronto are an instrumental part of the home-buying process in Toronto that can save you a lot of time and money in the long run. Remember that a home appraisal and a home inspection are not the same thing. Appraisals will not provide you with a detailed look at a property that can help uncover deep-rooted problems and potential pitfalls. No matter the age of the home, there can be costly troubles unknown to the average buyer. Problems with wiring, plumbing and easement may not be visible during a showing and you’ll want to get an expert opinion. 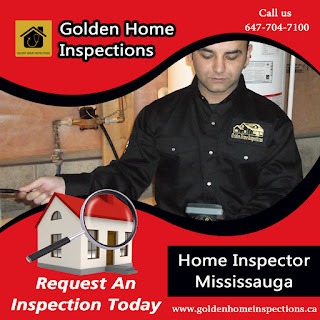 Home inspections generally cost depending on size and age of the home. That’s a good sum, but perhaps think of it this way: Those who skip out on the expense may realize in a few years that an inspection is much cheaper than rewiring the entire house. 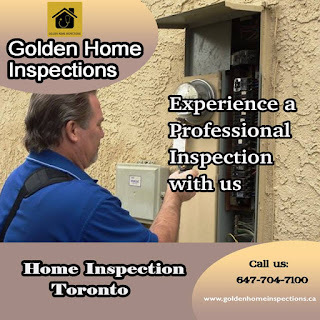 One of the advantages of having a home inspection toronto performed before you buy is the power it might give you to negotiate a lower price. If a home you’re really interested in is on the edge of your price range, information gathered during the home inspection may give you the bargaining power to talk down the price. You can also insert language into a purchase contract that allows you to back out of an agreement if the inspection turns up problems.